As we previously reported, this week, pictures emerged from the medical school yearbook of Gov. 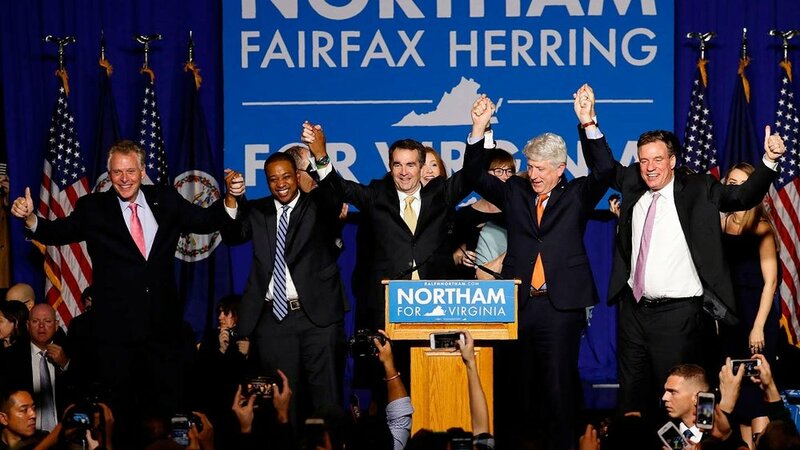 Ralph Northam (D-VA), depicting two people (one in blackface and one dressed as a member of the KKK). Northam initially stated that it was him in the picture, but later denied the accusations. Northam has refused to resign, despite the controversies surrounding him. In an almost absurdly quick follow-up scandal, Northam’s potential successor, Lieutenant Gov. Justin Fairfax (D-VA), was accused of sexual assault on Monday morning. Fairfax has denied the allegations of Vanessa Tyson, Fairfax's peer at Stanford University, which she first submitted to the Washington Post a year ago. The left provides coverage of Fairfax’s reaction, quoting him more frequently than the right and describing his tone as “measured.” While these sources reference Fairfax’s allusion to Northam’s role in bringing back the accusation, sources qualify this by adding that Fairfax later said he had “no indication” that Mr. Northam was responsible. The right emphasizes the idea of political infighting and scandal among the VA Democrats, often highlighting Fairfax’s suggestion that Northam “revived” the sexual assault allegation. These sources combine attention on the Fairfax scandal with the Northam blackface scandal and Northan’s apparent endorsement of infanticide. Northam has held his ground so far against the accusations. Given Fairfax’s swift and fiery response before dawn this Monday, this could also be the case in the face of his allegations. However, sources reference state Attorney General Mark Herring as the second in line to become governor, if both Northam and Fairfax step down.